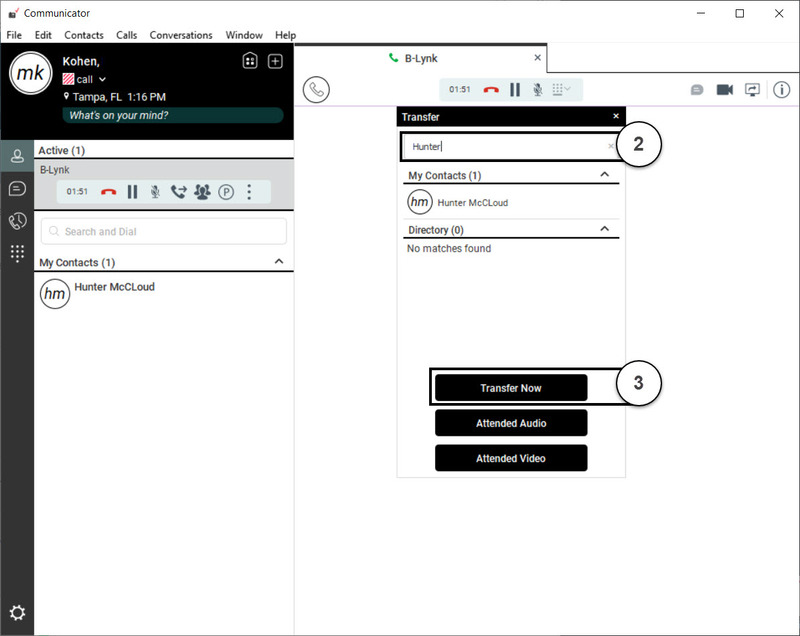 If you are on an active call, the desktop application provides you with various methods to transfer a call. 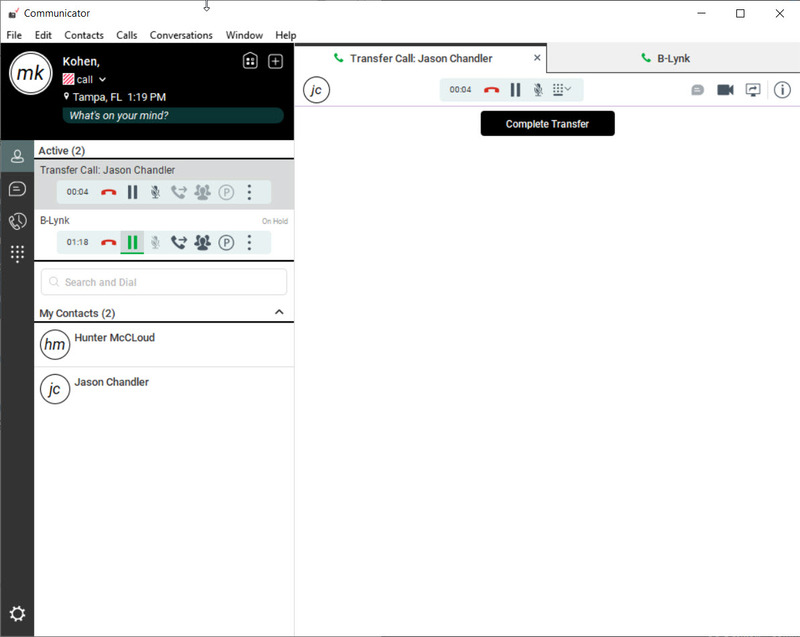 While on an active call, select the Click to Transfer Call icon. Enter the contacts name, partial name or the phone number of the person you wish to transfer the call to. Then click Transfer Now. This will place the transfer without announcement to the recipient. Announce the call to the recipient, then select Complete Transfer. This will complete the Attended Audio Transfer. Select the Click to Transfer Call icon. Next, click Attended Video. Announce the Video call to the recipient, then select Complete Transfer. This will complete the Attended Video Transfer.